“It is better to give than to receive.” We have all heard that old saying. Over the years, there has been a tremendous amount of academic research and real-life testimonies that have demonstrated the positive benefits of a focus on giving rather than receiving. We reduce the rates of depression and anger while increasing productivity and impact. Most recently, another research report confirmed the positive outcomes associated with an effort to give rather than receive. Researchers at the University of Illinois recently released their results of a study demonstrating that 15-16 year-old students who invest time and effort into pro-social activities such as helping family members or serving a charity are less likely to suffer any level of depression than those who focus more of their time and effort on themselves. The university researchers detailed their findings in the Proceedings of the National Academy of Sciences. Many times we think about the joy of giving in terms of gifts to others and how wonderful it is to see the appreciative look on someone’s face. The giving of gifts is a wonderful gesture. However, the benefits have a relatively short time horizon and limited impact on maintaining a positive spirit. In contrast, the focused effort of giving ourselves to a relationship or a cause greater than our own, presents a real opportunity to sustain the lifting of our spirits and creates a strong defense against the grips of depression and anger in the journey of our lives. As we look deeper into the opportunity to sustain the benefits of giving over receiving in relationships and worthy causes, we can identify the real challenge we face. Consistently giving ourselves to a cause greater than our own, although difficult, many times is done alongside others and the collective force of the group helps support and encourage our continued individual effort to give. The real challenge we face in sustaining the benefits of giving rather than receiving lies in our closest relationships. 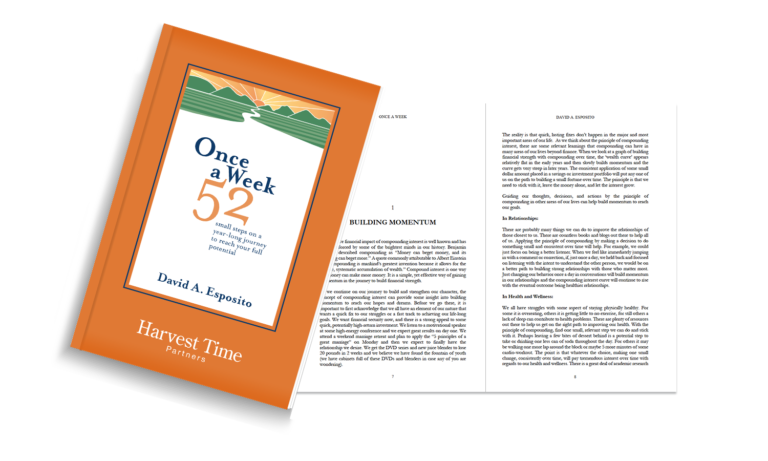 When considering relationships that we have for the long term, obviously those in our homes and many times those in our work, we need the discipline to give over the long run. Relationships have their share of ups and downs unlike the sporadic gift giver that can “drop and run” with a smile. Close relationships are where the real opportunity lies to see the fruits of our labor to be givers rather than receivers. The discipline to give consistently over time in our close relationships is a clear character building opportunity for all of us. I wanted to provide a few thoughts on how we can maintain the discipline to give over the long haul in our closest relationships. #1 Setting the proper expectations as we go into a relationship is a good place to start. Focus on asking and answering the question, “What can I give to this relationship” as oppose to “What I can receive from this relationship.” Maintaining the discipline to deliver on the expectations of “what can I give” works for marriage, being a parent, an employee, a leader etc. We build a healthy foundation for the long term by addressing the right question from the beginning. #2 As Winston Churchill said, “When you are going through hell, keep going.” What may seem like a living hell will come at some point in close relationships. We all wish it was not true, but the reality is that we, at some point in our closest relationships, will all experience that dark point of feeling the relationship has reached a permanent breaking point. The most effective way through the struggle and into better times, is to maintain the discipline to give rather than focus on ourselves and what we are not receiving. It is not easy in the challenges of a marriage, of dealing with a “prodigal” son or daughter, or a difficult, unfair boss, but maintaining the discipline to give in those toughest of times, will continue to build a defense against depression and anger to return a positive impact. As we focus our efforts on giving rather than receiving, we will build and strengthen our character and Character Creates Opportunity® to build a wall of protection against depression and anger in our closest relationships. Several months ago I wrote a blog about reaching our full potential. In that blog, I described that our greatest challenge is to reach our full potential. It is not winning a certain championship, reaching the corner office, solving some major problem in the world, or getting our kids prepared for life. Our greatest challenge in life is to reach our full potential. Research would suggest that one of the main hindrances in reaching our potential is that we have a strong tendency to allow what others believe about us to influence how we see ourselves and how we grow relative to our potential. This common hindrance to reaching our potential is especially strong in our teenage years, but it is also very prevalent in adulthood. There have been numerous studies over the years that corroborated the evidence documented in the foundational book, Pygmalion in the Classroom, published in 1968 by Robert Rosenthal and Lenore Jacobson. These studies all draw a similar, very simple conclusion; teacher expectations of students play a significant role in students reaching their full academic potential. It would be misleading to state that teacher expectations determine a student’s success, but the expectations are a huge barrier for students to overcome when they are negative and they are a huge accelerant to growth when they are positive. Outside of the classroom, there is a similar amount of evidence in the home and the workplace that would draw similar conclusions of parental expectations of children and leaders’ expectations of employees. In the course of our lives, we have all probably felt a negative projection, whether directly or indirectly, from a coach, a teacher, a parent, a boss, or spouse that influenced us enough to open the door to self-doubt that maybe we did not have what it takes to achieve a certain goal or dream. Despite our understanding that we own our choices and we can achieve our dreams, that negative projection was an obstacle we needed to overcome. The effort, whether small or large, that we devoted to overcoming the obstacle was effort that could have been directed at reaching our full potential. Given our own personal experience and the scientific evidence that both demonstrate we can either be a hindrance or a helpful hand to another person reaching their full potential, we should see it as an opportunity to build and strengthen our character when we ensure our perceptions and expectations on those closest to us communicate clearly that we believe they can reach great heights and have a great impact. Our positive expectations of others will help them reach their potential. (1) Avoid letting our own generational experience drive a negative perception of someone attempting a new technique or proposing a new idea. I recently had a chance to hear Jeffery Katzenberg, CEO and Co-Founder of Dreamworks Animation, describe the negativity that many individuals in his company had in the transition to computer generated animation because they felt the human side of hand drawn animation was the only effective way to tell a story. The negative expectations of many of the experienced, hand-drawn illustrators slowed the transition to computer generated animation and put the company’s future at risk. However, with the incredible success of the company’s first 100% computer generated animation film, Shrek, Dreamworks has never looked back to hand drawn animation again. (2) Avoid letting our perceptions of the ‘exterior’ override the potential of someone’s heart and desire. We all have a tendency to allow the looks, the dress, the education, the recent performance, etc., of someone be the driving force behind our positive or negative expectation. We should refrain judgment on the exterior and begin with a positive expectation as we work to encourage an individual’s desire and effort which, in most cases, will overcome any external shortcoming. As we bring a positive, hopeful expectation to others, we will build and strengthen our character and Character Creates Opportunity® to encourage others and be an enabler for them to reach their full potential. 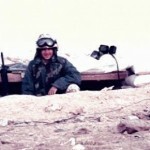 During my time in the Army, I certainly had some experiences that stay with me to this day. I learned a great deal about myself and a great deal about leadership, courage, strategy, and tactics. When I reflect back on the most significant learning, it was quite simple; the importance to just keeping moving forward. Whether tired, scared, or confused, just keep moving forward toward your objective. As an infantryman, with a heavy pack, leading a platoon of soldiers, the pressing call was always to keep moving forward toward the objective. Whether it was to complete a long, difficult road march, a specific tactical scenario that needed to be mastered in total darkness, or whether it was securing an objective on the battlefield in Iraq. No matter the ups and downs in that pursuit, there was a clear calling to just keep moving forward no matter what came our way. Applying the principle to keep moving forward to our general journey of life would remind us that we know what the objectives are in serving our families and serving an organization. We know there will be unavoidable difficulties and painful experiences that we will encounter. There will definitely be things we said or did that we genuinely wish we could take back and ‘do over.’ However, there are no ‘do overs’ in the life we are living. We just need to keep moving forward in the direction of our objective. It is important that we accept the reality that ‘do overs’ don’t happen in this life. Many times the damage is done and perhaps only time can bring about some healing. We cannot ‘re-raise’ our children, ‘re-live’ some difficult moments in relationships, or ‘re-live’ that career choice of 10 years ago. First impressions cannot be remade. Mean spirited comments cannot be restated. Scars, many times, cannot be completely removed. Life can only be lived in the present moment. What we have today is a great opportunity to keep moving forward regardless of the pain from the past. We will build and strengthen our character as we continue to move forward towards our objective and our Character Creates Opportunity® to build healthy relationships and provides us with the best chance to accomplish our hopes and dreams. Have you ever made a promise or commitment and then failed to deliver on it? I am sure we all can look back through our own personal history and get a bad feeling feel about a time when we said, “oh yea, I will take care of that” or “when this ‘busy season’ passes, we will get some time together” and then the reality hits that we dropped the ball on keeping the commitment. Several years ago, I participated in some extensive research to determine what customers felt were the most valuable qualities of a great account manager. After spending a great amount of time and money on the research, many of the conclusions were pretty consistent with our own experience and ideas; listens well to identify needs, partners around common goals, adds relevant insight on key challenges, etc. However, the one surprising finding from the research was that there was one quality that superseded all others as the one defining quality that makes a great account manager. The one quality was simply that the account manager did what they said they were going to do. They simply follow-up on action items/commitments during routine interactions. As I look back over my own experiences in business, I can recall a few times when I dropped the ball on a customer commitment and in some cases was not able to repair the damage. Even more painful than missing on a customer commitment, I can remember missing a few promises at home with my wife and kids; “I will come out and play in a minute, I just need to finish this small project” or “leave it to me, I will make some great plans to reconnect once this road show ends” and like the old Creedence Clearwater Revival song, we all know how the story ends, Someday Never Comes. Perhaps some of you can also relate to a few commitments you wish you delivered on at home and in the office. There is a tremendous opportunity to build and strengthen our character that comes with fulfilling our commitments or in more kid friendly terms, keeping our promises. Just like that quality that makes a great account manager, a quality that models strong character for those around us is when we keep our promises. It is important for all of us to take an honest assessment of the commitments we make and put the priority on fulfilling our promises. A simple, yet tremendously powerful movement has recently sprung up to help and encourage all of us to keep our promises. 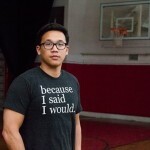 Recently, I had the chance to meet the founder of this movement called “because I said I would.” In the enclosed link/photo, the founder, Alex Sheen, gives an amazing testimony to this movement to keep our commitments. I would encourage you to watch and listen. I hope it encourages you, as his presentation did me, to keep our commitments. When we keep our promises, we will build and strengthen our character and Character Creates Opportunity® to build healthy relationships and set a great example for others to follow.